"Midway Arcade Treasures... over a dozen of its greatest games... and a few of its best to be forgotten shockers!" Those of us out there old enough to remember the glory days of the 1980s video arcade will immediately take a shine to the concept of Midway Arcade Treasures. 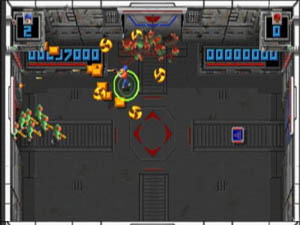 It has compiled over a dozen of its greatest games (Gauntlet, Defender, Spyhunter, Rampage, Joust) and a few of its best to be forgotten shockers (Joust 2, Bubbles, Splat) onto the one disc for your gaming pleasure. There�s no coin drop and no parents wishing you�d spend your money on more constructive things this time, just the arcade all to yourself! The presentation of the DVD�s pre-game menus is surprisingly uninspired and I�m told some of the sound effects for certain games aren�t accurate. Most games are direct port however and the feel is mostly still there. Each game has an options screen where you can doctor the settings to your liking, i.e.. infinite lives, widescreen graphics and such. I did still encounter a problem with Marble Madness however (a great old arcade game) where even at the easiest setting it was still incredibly hard to get further than the third level � and trust me, I gave it a good wack! Another problem I encountered was that I could only play George (the gorilla) in Rampage. Try as I might the only way to get Lizzie or Ralph (the dinosaur and giant wolf) you must be a second or third player. Very frustrating for an old Lizzie fan like myself. 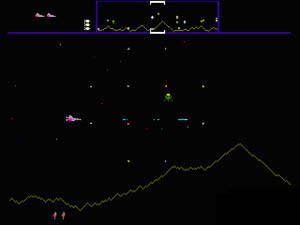 The game also makes you appreciate just how good some of the old Commodore 64 games were. Having my own C64 emulator which I still like to give a whirl from time to time, I see more credibility in putting its own classics back on the market than Midways�. 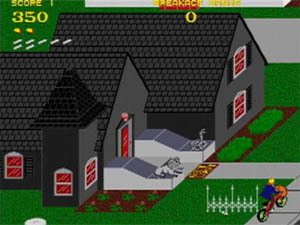 For example the C64 conversion of Paperboy plays better and has just as good, if not better, graphics than the original stand-up from which it was spawned. But perhaps I am being too harsh. Midways Arcade Treasures is indeed good for a blast. All in all it is a nice collection, and does makes one wish for other old favourites to be resurrected. 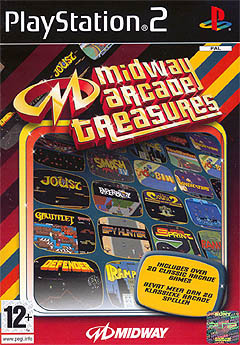 So, Midway Arcade Treasures sounds like a great idea, doesn�t it? Well, much like shag carpeting and polio, some things are best left in the era the originated from. Prepare to have your warm memories shattered and realise just how dated and graphically average 95% of these games are. For this reviewer everything with the exception of Gauntlet fell into the �fun for five minutes� category. The DVD does include some mildly interesting game histories and developer interviews that make the trip down memory lane a little more pleasant, but this is one title I would definitely rent, not buy.